There’s just no keeping Call of Duty down. 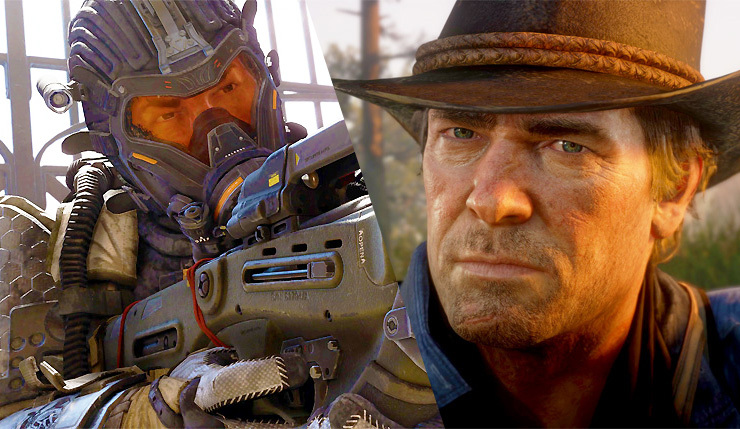 The conventional wisdom has been that Red Dead Redemption 2 will be the biggest game of 2018, but according to a major new survey from the folks at Nielsen, Call of Duty: Black Ops 4 is actually the most anticipated title of this holiday season. Amongst third-party titles, Call of Duty: Black Ops 4 took the top spot with a 99 rating, while Red Dead Redemption 2 lagged slightly behind with a 97. 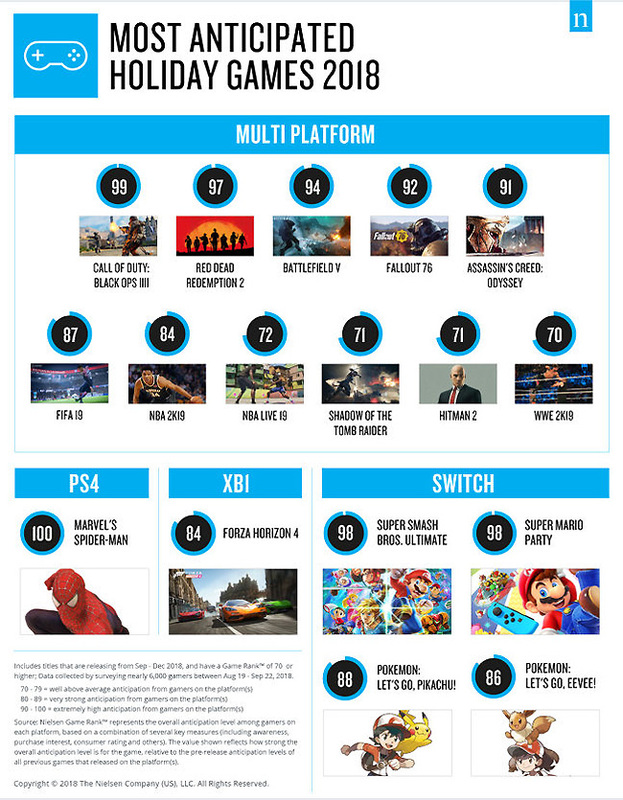 Other games scoring over 90 include Battlefield V (94), Fallout 76 (92), and Assassin’s Creed Odyssey (91). On the lower end, Shadow of the Tomb Raider and Hitman 2 both got 71 ratings. Looking at console exclusives, Spider-Man is the big winner with a full 100 rating. Nintendo exclusives also scored big, with Super Smash Bros. Ultimate and, surprisingly, Super Mario Party both snagging 98 ratings, and Pokemon: Let’s Go grabbing an 88. Microsoft’s big exclusive, Forza Horizon 4, scored an 84. Check out how Nielsen scored all the top games, below. Of course, you shouldn’t put too much stock in these ratings – pre-launch anticipation only counts for so much. That said, it is interesting to see what the mainstream gaming population is looking forward to. What do you think? Which big holiday 2018 game is going to come out on top? Will Red Dead Redemption 2 manage to squeak out the win, or is the Call of Duty brand name just too powerful?